My name is Sharon Stiles and I am a hypnotist in Bristol, UK. Contact me by telephone at 0345 665 3024 (charged at a local rate from landlines and mobiles). I help people with many issues including: anxiety, confidence, pain management, phobias, unwanted habits, weight management and weight loss, insomnia and IBS. If you would like help with something else please do contact me to ask if I can help. Ask-the-hypnotist.com was very interested to find out more about Sharon. Here is what she told us. Where did you receive your hypnosis training Sharon? I have trained with a variety of people. My first training was quite basic so I have gone on to expand my knowledge as much as possible. I have trained with experienced hypotherapists and stage hypnotists, done courses in NLP, EMDR, CBT and Chinosis and attended specialist training in CFS/ME, depression and IBS. I had always been interested in the power of the mind but the thought of being hypnotized did scare me as I thought I would be out of control. However, when I went on an introductory hypnosis weekend I soon learned there was nothing to be concerned about. I became fascinated by hypnosis and started training in it as soon as I could. What do you enjoy about being a hypnotist in Bristol? I love seeing and hearing the changes that have happened in people's lives as a result of hypnosis. When I do hypnosis for fun sessions I love the laughter of the attendees. I love the challenge of every hypnosis session or event being completely different. I use self hypnosis for focus and confidence when doing hypnosis events and also when flying model aircraft (my hobby). What issues do your clients typically come to you for help with in your Bristol hypnosis practice? The most common issue is anxiety because that affects people in so many areas of their lives. So, anxiety also covers phobias, lack of confidence, is often a factor in sleep problems and increased pain perception. I work with pretty much any issue but I think my favourite areas are anxiety, sleep and pain. They can have such a negative impact on someone's enjoyment of life and it's great help people to have a fuller and easier life. What is the most frequent misunderstanding about hypnosis that you encounter with clients or the public in Bristol? Probably the same one I had all those years ago, that the hypnotist controls their client. I think this is what stops a lot of people considering hypnosis. As we both know, Hypnosis as a healing and helping modality has existed for hundreds of years now. However, it is more widely known and more accepted in some areas more than others. How would you rate the public acceptance of hypnosis/hypnotherapy in and around Bristol? In the UK it's not widely accepted within the conventional health sector. You can't go to your doctor and get prescribed hypnosis and very few doctors recommend it so it's up to the patients to find out about hypnosis for themselves and also to fund it themselves. Often my clients say they hope hypnosis works because they've tried everything else. Hypnosis is available for IBS in some UK regions but is not widely available. Do you have any words of advice to potential clients in Bristol? Too many people use hypnosis as their last option so save yourself some time and contact a hypnotist as an earlier option! 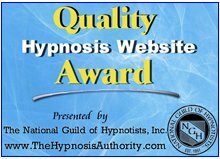 Read the hypnotist's website, phone them or email them. Make sure they are someone you feel comfortable with and think they can help you. If you feel nervous about going along to the first session on your own then ask if someone can come along with you to sit in for part or all of the session. If the hypnotist isn't happy with that then they won't be the right person for you. Be truthful with your hypnotist. If you are unsure about something or don't think the session is addressing the right issue then tell him/her. It's your session and needs to address your issues. Thank you Sharon for sharing with us more about yourself and your Bristol UK hypnosis practice. I am sure our readers from the Bristol area will have appreciated it in particular. Return from Bristol Hypnosis to the International Hypnotists Directory.